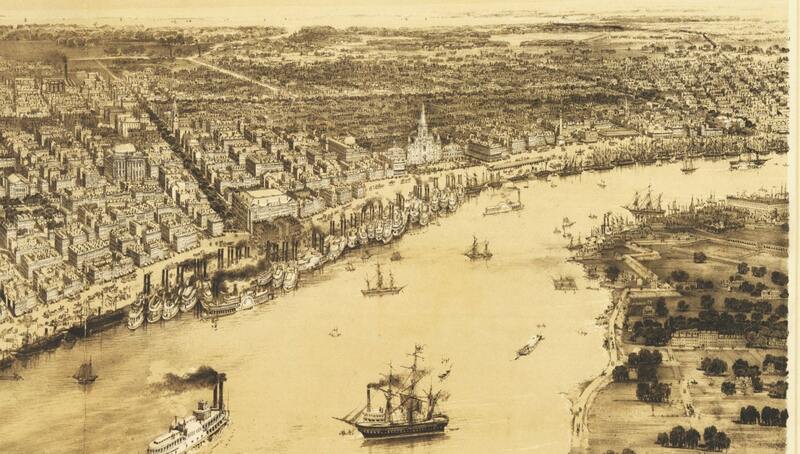 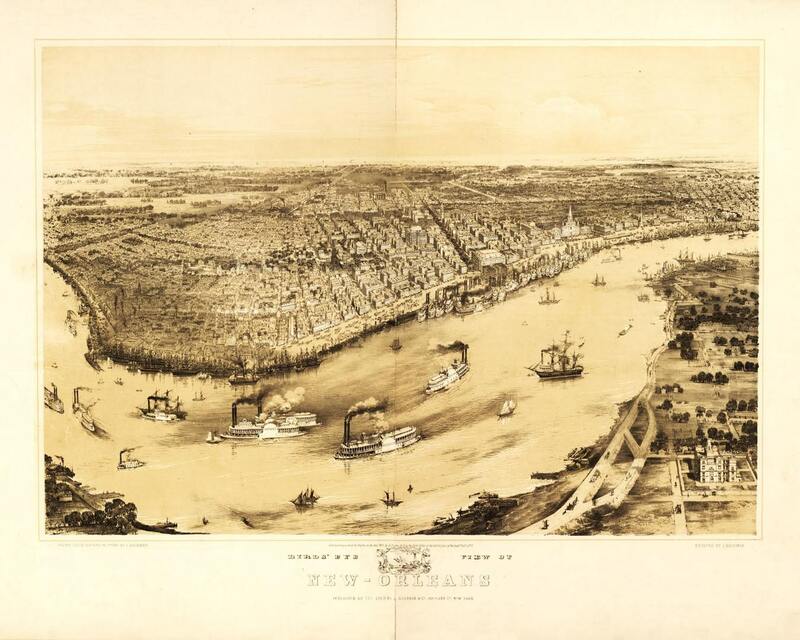 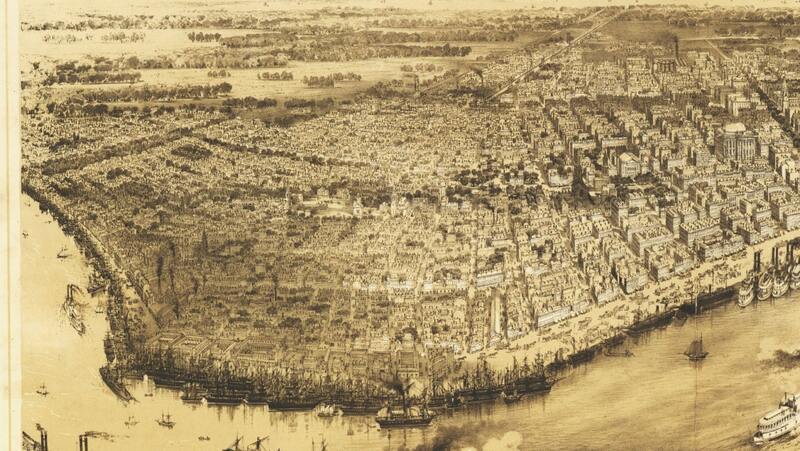 Great reproduction print of a bird's-eye-view map of New Orleans in 1851! 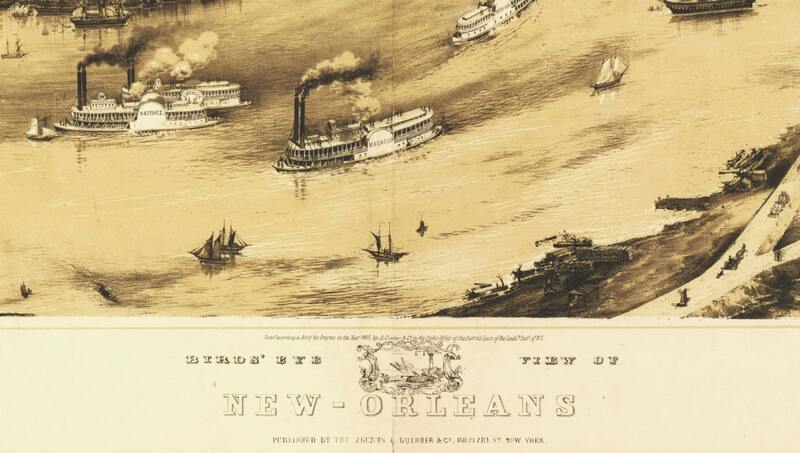 Great boats with names visible...The image size is 34"x20" (standard frame size). 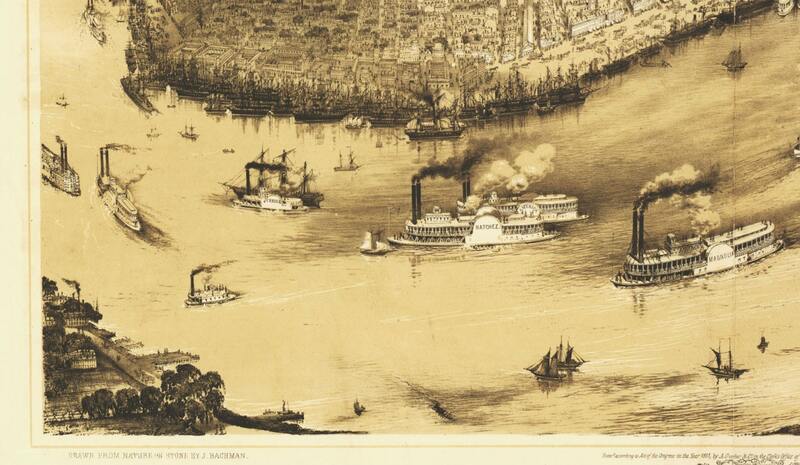 Original size was roughly 35"x28" (can print it that size as well).